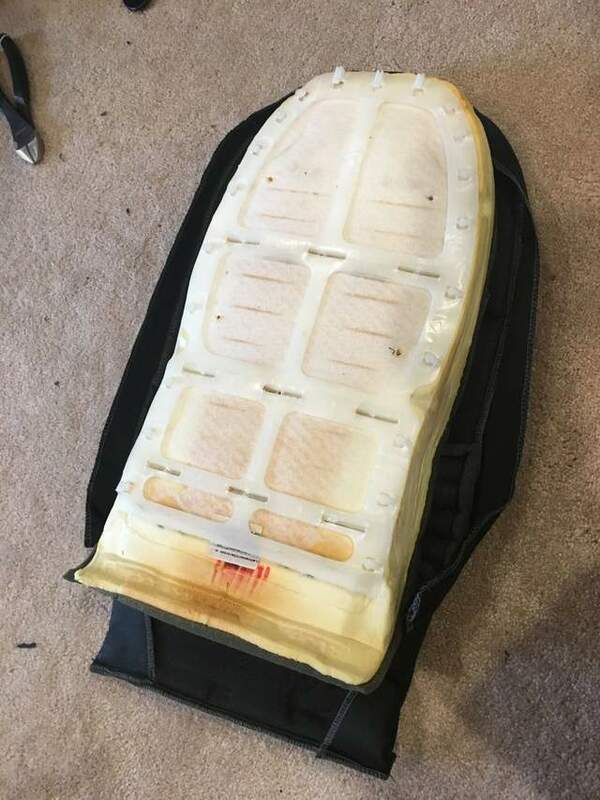 The seats on 99 986 are wearing out and I would like to replace the seat covers. I ordered a pair for lseats.com for $350. 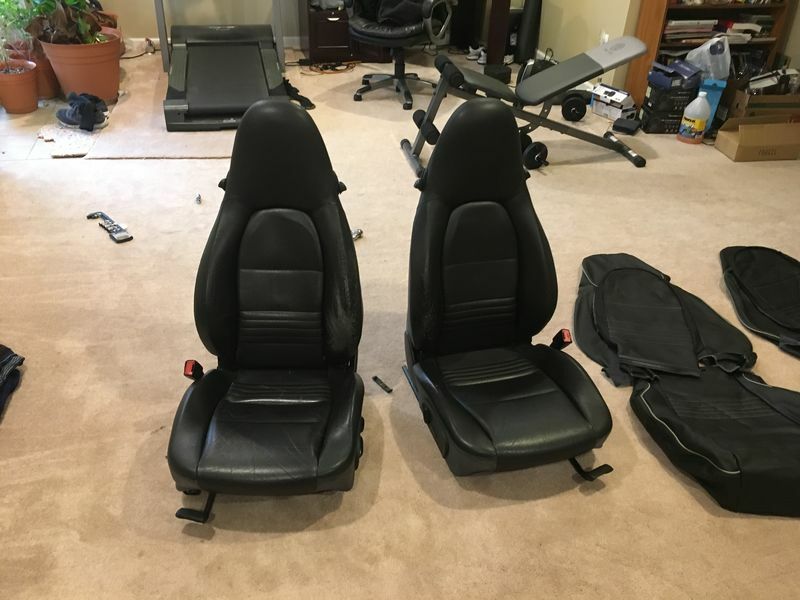 Is there a DIY on removing the seats and replacing the covers? I saw many people had changed it out in the posts but did not document how they did it. 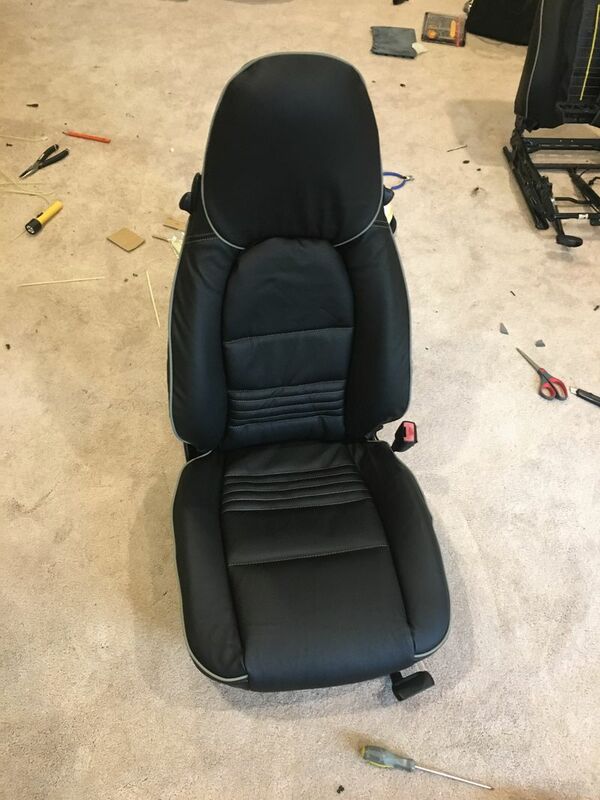 As I'm considering the same seat covers I'd also welcome feedback on this topic. 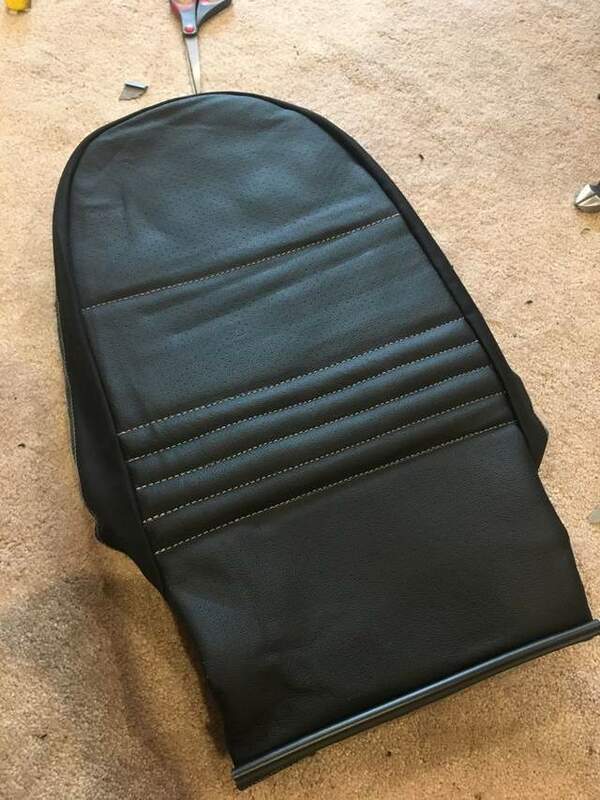 How do you find the look and feel of the seat covers you got? My browser warned me that iseats.com was configured in a manner that would allow it to steal my information. OK! 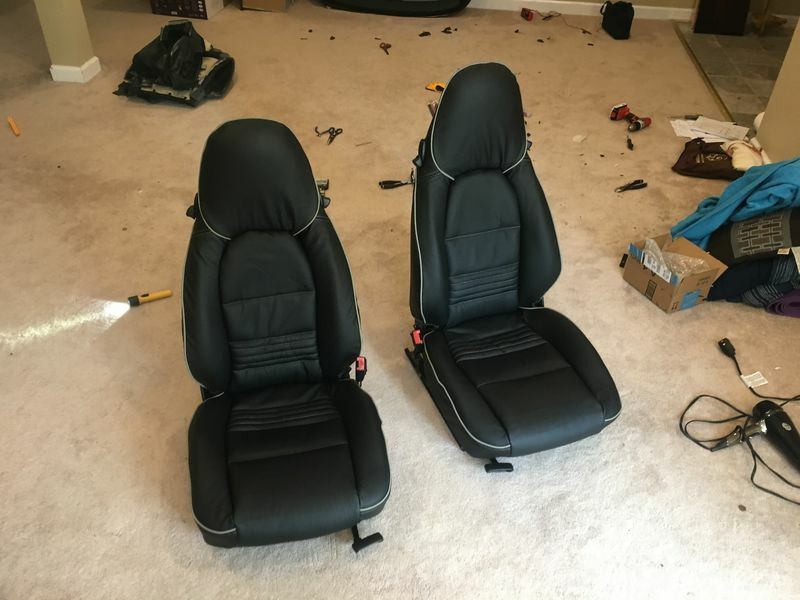 I finally finished changing out the leather seats. I started the project yesterday around 1 PM and just got done. It is a pretty tedious task, but can definitely be done. My father in law helped as well and a second pair of hands is definitely a must! 1. 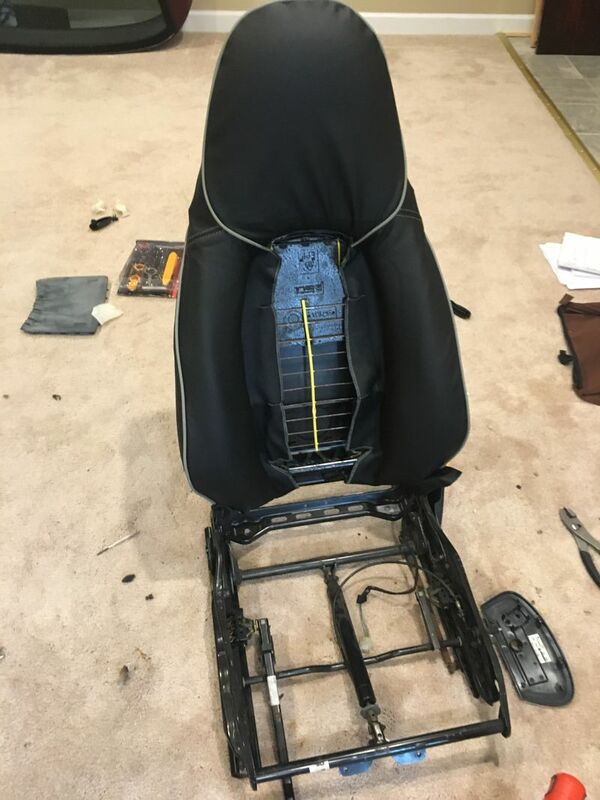 I started with removing the four bolts that held each seat. It uses a E12 socket which I did not have. A universal socket from Lowes did the job. I recommend getting the E12 socket so you don't strip the bolts. I was then able to bring both the seats into the basement to work on it. 3. I started with the bases first. These are easily the toughest. 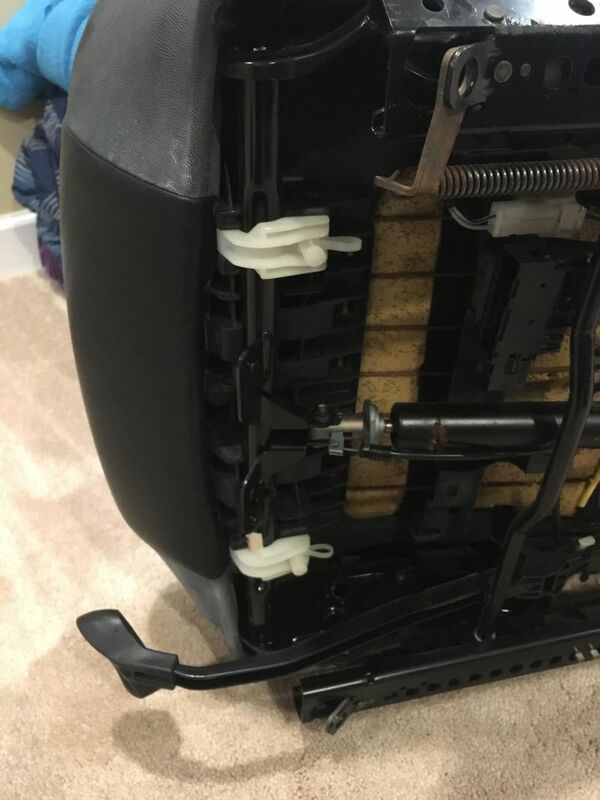 The LSeat.com replacement has all the pipings you need to secure the leather to the foam. take your time getting the leather around the foam and the base. Use a hair dryer to heat the leather so you can stretch the leather into the grooves. 4. The backrest has two pieces, both were pretty easy to wrap. You need an extra pair of hands here to hold the leather piece in place while securing it to the hooks on the back support. The backrest also use hog rings to secure the leather to the foam, which I did not have, so I used zip ties and they actually worked very well! 5. Assemble all the pieces back together and you are ready to bolt the seats back on. The leather itself is good. It is not as good as factory-new, but a huge improvement over the 20 year old stained leather. The biggest negative is that the leather does not have holes pre-cut for the seat controls, coat hook and seat release lever. I had to cut it out using a blade and you can never get it right every time. My seats actually have holes extending past the release lever. Not too much and cannot be seen easily, but still there. I just wish they had precut holes for all levers. it would have been very professional looking. Here are some pics from my installation. Thanks for this, I'll add them to my project list for my 2003 S.
Question about the lack of cutouts for the seatback release levers. Does the leather fit under the trim for these levers? Did you (were you able to) remove the trim around these levers? Can you include a closeup of this area? If you cut it right, you can fit the leather under the trim. I was able to do it for the seat controls in the bottom. But not for the release levers in the back supports. So if you look closely at those, you will see a small bit of tear in the leather around the trim. Nice job and thanks for posting the follow-up results! 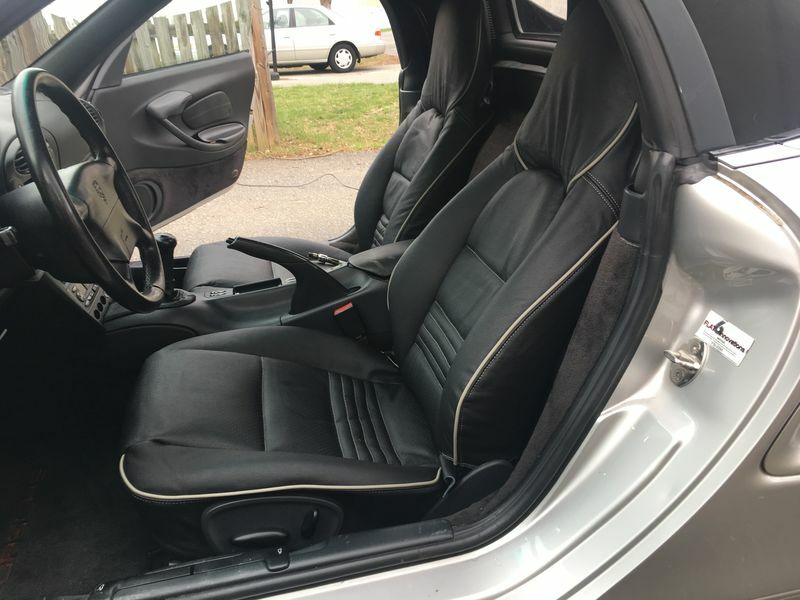 As a suggestion, you might want to look into blowing heat into the leather to shrink them to fit the seats. 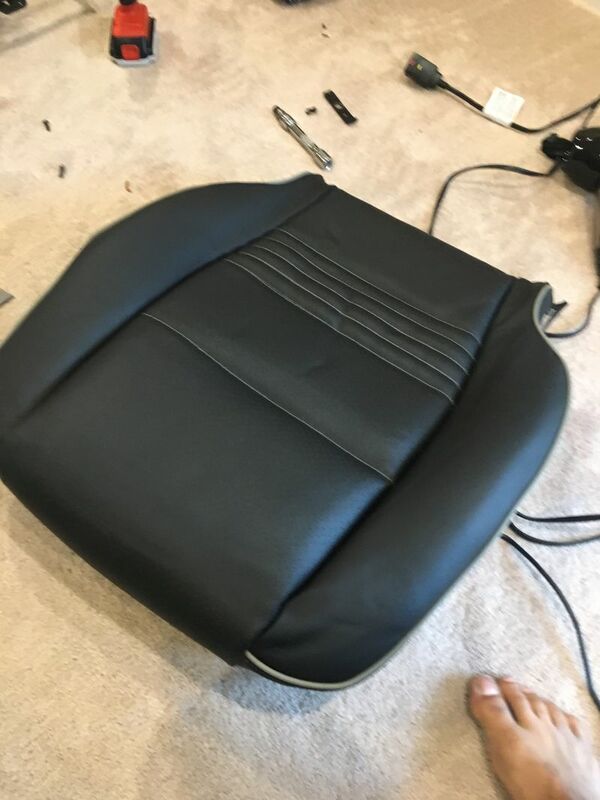 I've read somewhere that this is how OE and professionally installed leather seats are done, to get rid for the wrinkles. 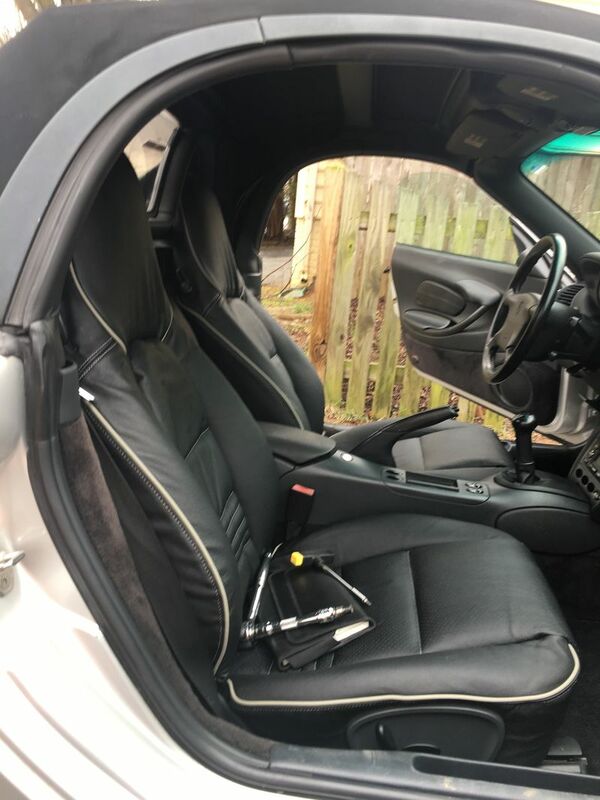 If taking a heat gun to your leather is a little too scary, I'll bet an experienced pro upholstery worker could do it pretty easily, since you've basically done all the heavy lifting of actually replacing the cover, it appears you only have the finishing touches remaining. Hope this helps, and best of luck! Last edited by jakeru; 05-31-2017 at 07:14 PM.